Hello Beauties! I hope your all having an amazing week! This week was supposed to be my last week working at Disney, but lucky for me I've had my contract extended for another week, yay! I really didn't want to leave so I'm really happy to be sticking around, even if it is only for a couple of extra days. Anyway, about a week ago I had a leaving dinner arranged by my manager to say goodbye before all the chaos of handing over my job kicked in, and at the end of the dinner I was surprised with a lovely gift. Two of the guys on my team had got me a card and a MAC voucher to say goodbye, and I was so shocked that they'd gone to the trouble as I honestly wasn't expecting anything! So, I thought I'd let you know what I picked up with my amazing present and do a couple of mini reviews as I've now had the opportunity to test them all out a couple of times. I will be doing full reviews as soon as I've had enough time to properly test them out too. When I saw this little pan sparkling at me in the MAC store I couldn't resist adding it to my basket. I'm slowly managing to fill up my MAC palette and I really wanted to pick up some bronze/gold and purple shadows to complete it - so Honeylust was the perfect addition. It's a beautiful sparkly golden bronze colour which looks amazing swept across the lid and left alone for a simple day look or as part of a bronze smokey eye for when you want to look a little more glamourous. Ever since trying the Maybelline Colour Tattoo's last Summer, I've wanted to get my hands on one of the MAC Paint Pots, but they always seemed like a bit of a splurge to me so I never picked one up, but a gift voucher was the perfect reason to treat myself and get something I normally wouldn't pick up. I went into the store with the intention to pick up Bare Study, but when I saw Chilled On Ice, I knew it had to be mine. Chilled On Ice is a beautiful light champagne colour packed full of loads of sparkles. I like to wear this on its own across my lid, or as an inner corner highlight. It's perfect, and I now want to pick up Bare Study even more. While I was browsing the MAC counter last Summer, birthday money in hand, I picked up one of the MAC pressed pigments in Enlightening and it was love at first use. I love the ultra sparkly look that a pigment gives you but hate the fall out, so the pressed pigments are a dream come true for me. 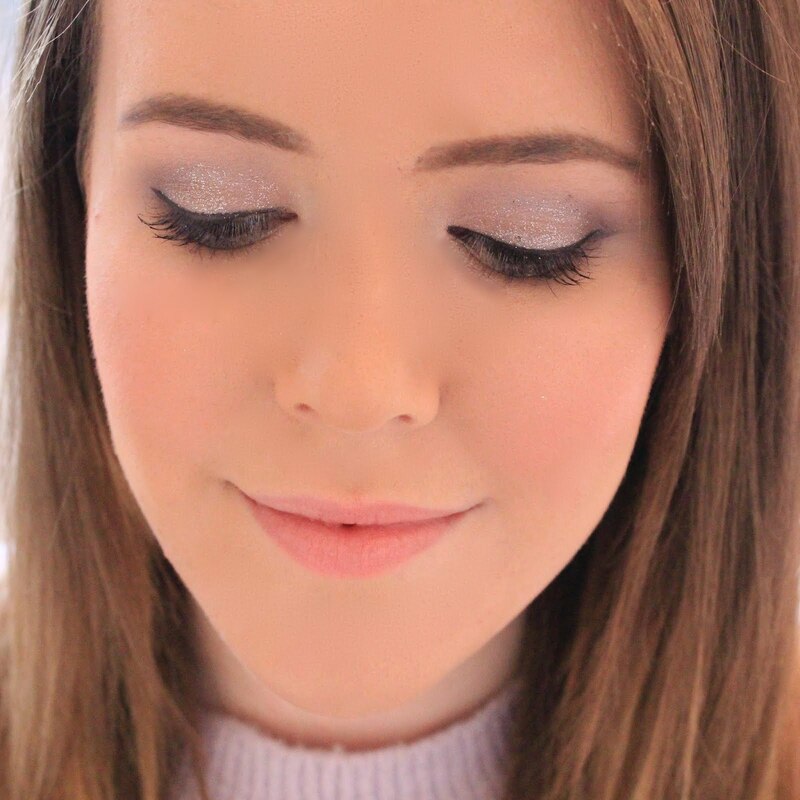 Recently, I've really been getting into wearing purple and lilac eyeshadow again (I used to be obsessed), so Amethyst, a lovely metallic lilac colour, seemed like the perfect option for me. I've been debating getting another MAC blusher for a while now, I have three of them and adore each one of them, but I wasn't sure whether to go for a peach shade or a more pink shade. When I was looking at the blushers in the store, I kept picking up one called Sweetie and Lovecloud. I ended up going for Lovecloud as it was a little less purple toned in the end which I thought would suit my skin tone a little more. Lovecloud is a beautiful light pink colour which is surprisingly pigmented considering how light it is. It also has a beautiful satin finish which adds a subtle highlight to your cheeks, perfect for summer! I'm so happy with everything I've managed to pick up and I can see myself getting a lot of use out of all of the items, so thank you to my team who have really spoilt me! If you've used any of these items I'd love to know, so let me know in the comments! Great haul, honeylust is so pretty! That pressed pigment looks gorgeous! Honeylust looks really pretty! I always though it would have way too much fall out for me to handle! How nice of your work colleagues! Honeylust looks gorgeous and so does that lovecloud blush.. I might need to get myself to MAC!